Ejigbo, Lagos, 30 June 2016 – 50 women can now access funds to start or scale up their micro businesses through a rehabilitation programme for Internally Displaced Persons (IDPs) in Lagos State. 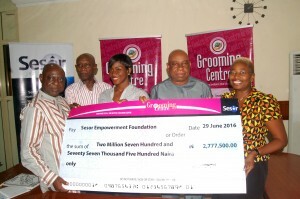 The scheme, an initiative of Sesor Empowerment Foundation, is in partnership with Grooming Centre, a microfinance Non-Governmental Organization (NGO). 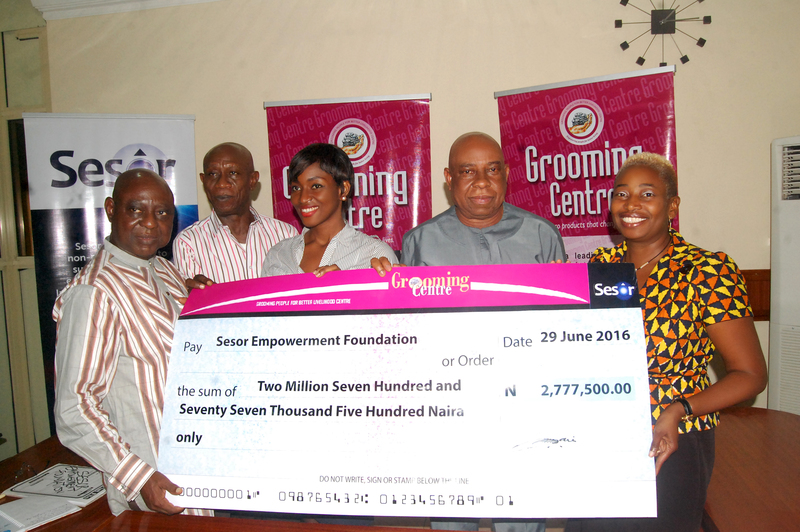 Sesor Empowerment Foundation is an NGO working to support survivors of emergencies, especially internally displaced persons through programmes in emergency relief and rehabilitation. 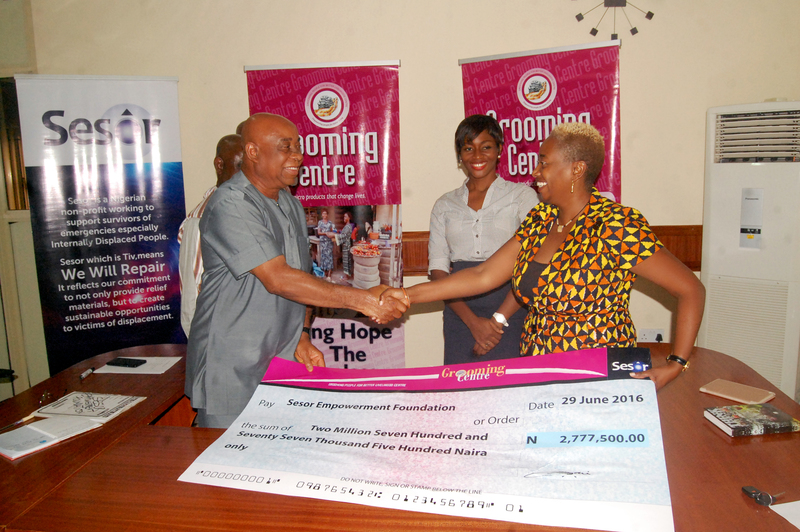 This year, Grooming Centre becomes the first Sesor partner to support a REHABILITATION programme for displaced women in Lagos State by offering access to finance for 50 displaced women to start or scale up their micro businesses. 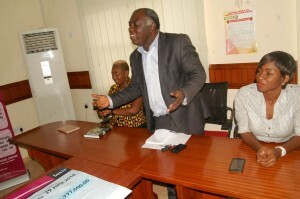 The 50 women will be able to access NGN1million over a period of six months. 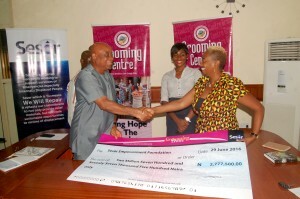 They will also undergo basic counselling and financial/business skills training to support them as they forge a new life and manage their microbusinesses. 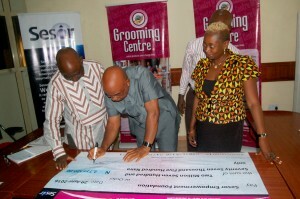 In an impressive ceremony in Lagos on Wednesday, Grooming Centre lent its support for the rehabilitation programme with a donation of N2,777,500.00 In the cheque hand-over ceremony, CEO, Grooming Centre, Dr. Godwin Nwabunka, said that the Centre has been partnering with Sesor for 3 years now and identified strongly with Sesor’s work in emergency relief. Grooming Centre is particularly excited about supporting Sesor’s economic empowerment programme and looks forward to scaling up its support as displaced persons need empowerment now more than ever before. He stated that Grooming Centre was committed to promoting empowerment to excluded persons, especially women. Identifying with Sesor’s rehabilitation programme for displaced women was therefore an opportunity to further improve such women’s means of livelihood through the promotion of micro-enterprises. Current relief programmes for the displaced are mostly limited to people and government agencies taking relief materials to displacement camps and settlements. While useful, the displaced need to be rehabilitated and can only fully begin to resettle with a sense of dignity when they are economically active and able to fend for themselves and their families. This project aims to economically empower 50 women and their families so that they can begin to rebuild their lives. 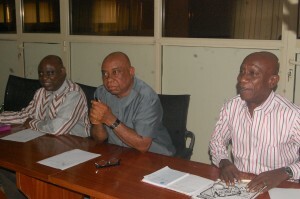 It is estimated that there are over 2.5 million internally displaced persons (IDPs) in Nigeria as a result of conflict (the insurgency in the North East and other conflicts over resources, mainly farmer-herder clashes, especially in the middle belt) and natural disasters. Over 51% of the internally displaced are women. Usually having fled with few resources and little preparation, displaced women have few resources to survive on or a safety net to fall back on. 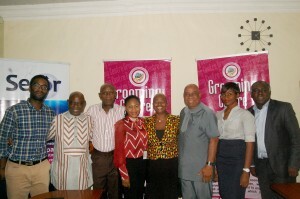 There is therefore the need to improve their wellbeing through empowering them economically. This rehabilitation project will serve as a case study for how groups can work with displaced women to economically empower them. 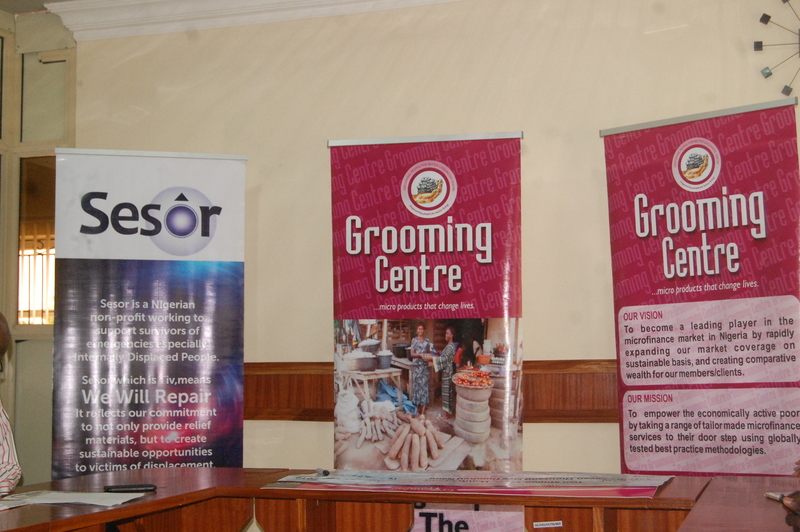 The final project report will provide an advocacy tool for making a case for investment in such programmes for women.